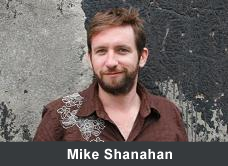 Thanks to Mike Shanahan in the UK, for ‘drawing’ attention to my censorship problem with his post. He nailed it! When I first heard I was on Harper’s Blacklist for my cartoons, I could hardly believe it. What? I’m getting in trouble for drawing cartoons? I thought I lived in a free country where people are allowed — and encouraged — to speak up! Franke says that “this blacklisting and back-room badmouthing” led sponsors and venues to withdraw support for her European tour. Can Canada really reach across the Atlantic and influence art shows in Europe, where governments generally consider climate change a problem? Franke says yes. And with her exhibitions in 20 European cities cancelled she is taking aim at the Canadian capital Ottawa. She has raised funds for an outdoor exhibition there in November and is making an animation about her tussles with her government, to be unveiled at the UN climate change conference in Durban in December. Franke’s work is colourful and quirky and often funny, but it carries a message that clashes with Canada’s current stance on climate change. As an example, here are some frames from the Dear Prime Minister piece, in which Franke calls for a carbon tax that makes the polluter pay for the damage they cause. Given that a new study commissioned by Canada’s federal government has just warned that climate change could cost the country $5 billion per year by 2020, and $21-43 billion per year by 2050, Franke is asking a good question.